Extreme pain, but ... not mine! 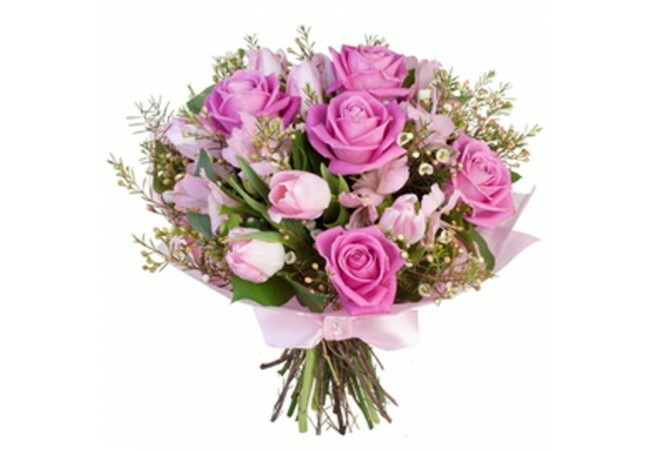 Description of the bouquet: Beautiful, delicate, like a spring bouquet will cheer up your beloved. 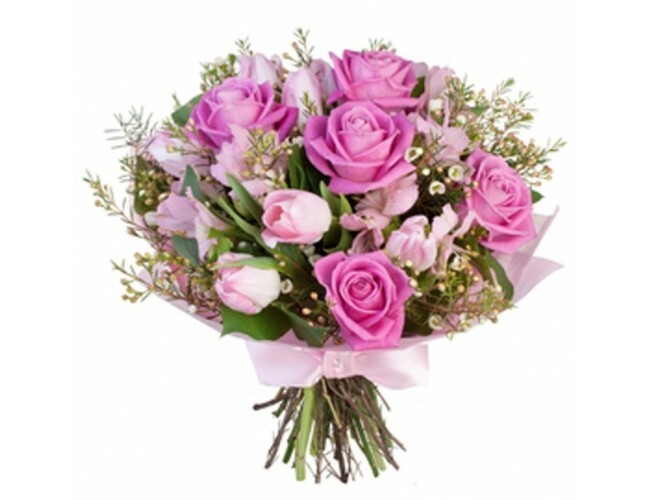 Composition of the bouquet: lilas rose- 7, tulip pink- 5, pink alstroemeria- 7, greens, decoration.